Clean power sources are great alternatives to traditional ways of powering up for our daily needs. Clean power solutions are better for the environment and give people the possibility to produce as much energy as they consume without depending on limited resources. For these reasons, these regenerable energies are preferred over other types of energies, and they can be obtained in different ways. One alternative is photovoltaic or PV, a technology used by many countries on Earth right now. Photovoltaic basically means converting sunlight into electricity. It generates electric power through solar cells that convert energy from the sun. This energy is used to recharge batteries or to power up electrical equipment. 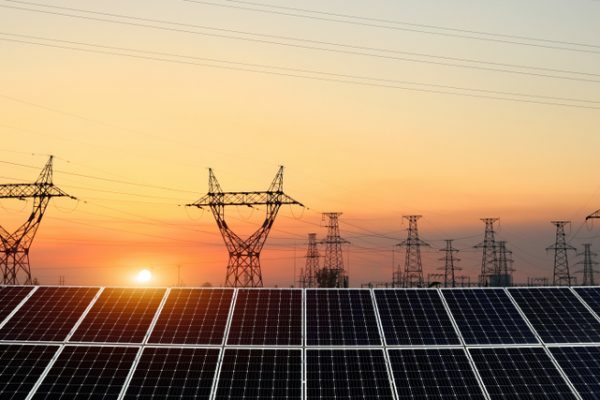 Renewable energy, such as photovoltaic, is getting a lot of attention both from specialists and consumers who are looking for ways to power up their devices with the help of clean energy. So, what is clean energy? Clean energy is the type of energy that doesn’t affect the environment when it is being used, as normally is the case with energy coming from conventional sources. What photovoltaic does is that it decreases the amount of fossil fuel we need to generate electricity. Photovoltaic is a great way to keep the environment clean and improve the quality of life we have here on Earth. For example, in one single year, the replacement of traditional fuels globally helped us avoid sending 1.8 gigatons of carbon dioxide emissions into the atmosphere. Considering that the percentage of photovoltaic used in the world in 2018 is still very low, think about how much we can reduce pollution just by switching to this clean energy solution and giving up the traditional ones. Photovoltaic is being used by multiple countries in the world in 2018, and one of them is Singapore. Singapore is one of the countries that has adopted the photovoltaic solution for producing energy. The city-state produces over 90% of its energy from natural gas, a solution many countries are still using. But the government is now proposing to increase the percentage of clean energies to improve the quality of air in Singapore. In this country, the only viable source of clean energy is photovoltaic, due to the natural limitations of the land. Right now, the percentage of energy that is photovoltaic in Singapore is lower than 10%, but both the government and investors are looking to change that. If this solution is implemented on a larger scale, the price of electricity could be lower and there will definitely be less pollution in the city-state. Right now, Singapore has a solar power capacity of 140 MWp, a number that has grown from 0.4 MWp in 10 years. This means that Singapore has the capacity to improve the clean energy system it currently has and power up the city with this renewable energy solution. The Singaporean government’s plan for the next 7 years is to increase the solar power capacity to around 2 GWp, which will mean the solar capacity will have to double every two years. This is not an easy job to do, but it can be achieved if all the efforts are aimed in that direction. This level of photovoltaic energy in Singapore could only be achieved if the local authorities find other ways to implement it beyond relying on the land. Given the small size of the city-state, reaching a capacity of 2 GWp solar power is only possible if efforts are extended to the sea as well. The target is that Singapore becomes 25% solar-powered by 2025. Could The People Of Singapore Help This Initiative? As with any other public initiative, it’s the duty of both the citizens and the government to implement it and make it work. The people of Singapore can help increase the solar power capacity in the city-state by installing their own photovoltaic energy generators and using them as an alternative source of power for at least part of their daily needs. Without the involvement of the people, this project could not reach its objective. What Is The Advantage Of Having Your Own Photovoltaic Generator? If you want to help the environment of your city-state, you could either become an investor in the photovoltaic industry or participate in this change by installing your own photovoltaic generator. There are some advantages to take into consideration when you are ready to make this decision. First of all, you will definitely reduce your electric bill because you will be producing your own source of energy. You will continue to depend on your electricity provider, but only for a limited amount. Second of all, you will definitely improve the value of your house which is great news especially if you plan to live there for a long period of time. Plus, you will actively contribute to a better environment by reducing your carbon footprint. Is It Worth Investing In Photovoltaic Businesses? Investing in photovoltaic businesses is a wise move for the future. Right now, most of Singapore’s energy comes from natural gas, but the world is changing fast and in the near future renewable energies will represent the highest percentage of energy solutions. Our limited resources, such as coal, oil and natural gas are running out and the world needs to find other solutions to keep things running. Singapore is no exception and given the plan of the government to increase the percentage of solar power capacity of the city-state, investing in this type of business is a very wise decision. More and more, people will choose photovoltaic generators because it is a smart way to generate electricity and it has tremendous advantages for our day to day living. What this means is that it’s high time for any investor to see beyond the present moment and give this type of business a shot.